Description: Biennial 0.6-2.7 meter (2-9 ft) plant with large, rhubarb-like leaves. Thick, grooved stalk. Flowers are reddish-purple and thistle-like. Flowers present July through October. 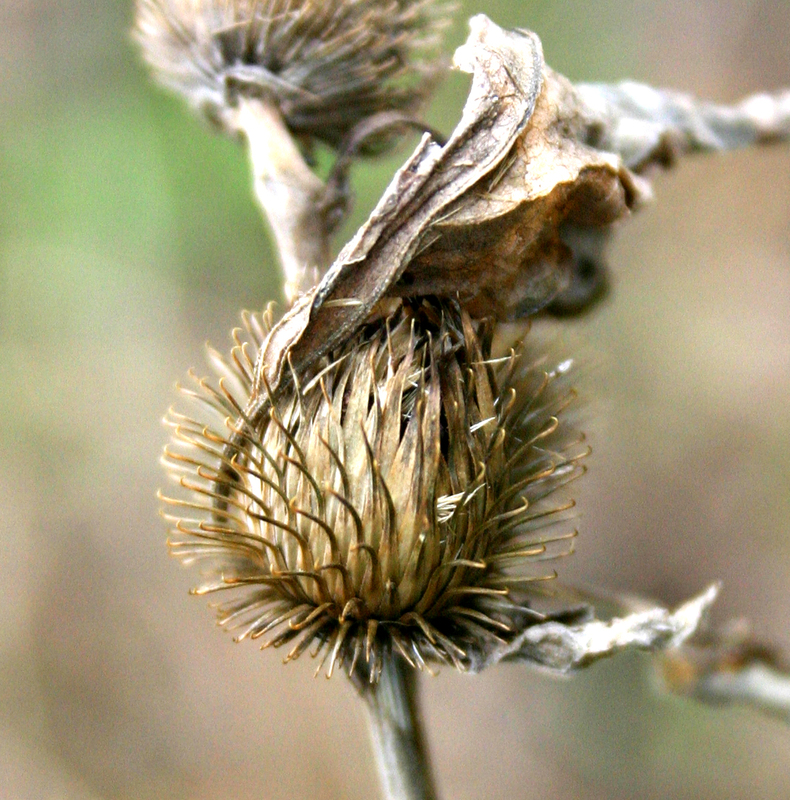 Brown, spikey seed pods or "burs" stick to animal fur and clothing. 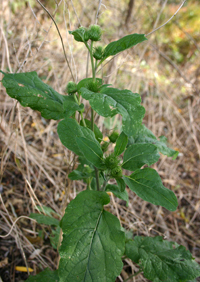 Found in waste places and disturbed soils. Ranges from Canada to North Carolina. 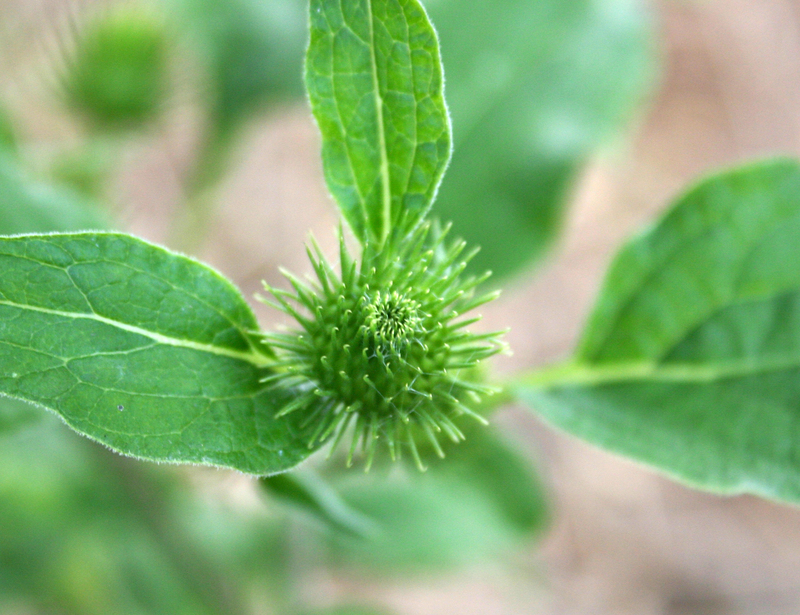 Leaf tea used in China to treat vertigo, rheumatism, and measles. Leaf wash used to treat hives, eczema, and other minor skin irritations. Leaf poultice used for burns, ulcers, and sores. Root tea (2 ounces dried root in 1 quart water) used traditionally as a "blood purifier," also diuretic, stimulate for digestion and sweating. Used to treat gout, liver and kidney ailments, rheumatism, and gonorrhea. Roots contain high levels of inulin, traditionally used to treat diabetes. diuretic, thought to be antiseptic. Also used for sore throat, insect bites and snakebites, flu, constipation, scarlet fever, and smallpox. 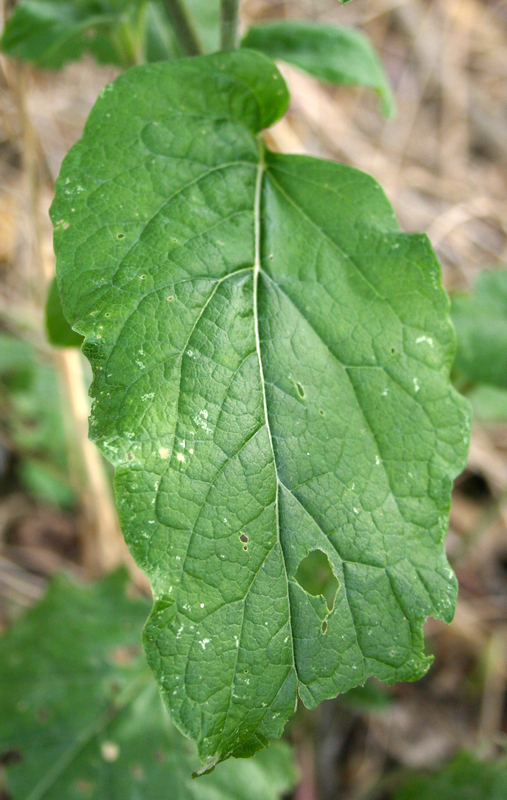 Leaf hairs may be a skin irritant. Leaves may be confused with those of rhubarb, which are toxic.